This is the most recent information about Men Without Hats that has been submitted to amIright. If we have more information about Men Without Hats, then we provide a link to the section where it appears (the actual page whenever possible). "Pop Goes The Word" originally "Pop Goes The World"
"Everybody's Smelling Something" originally "Everybody's Selling Something"
"Di Got The Message" originally "I Got The Message"
"Id Got The Message" originally "I Got The Message"
"Safety Dancer" originally "Safety Dance"
"Poop Goes The World" originally "Pop Goes The World"
"I Got The Massage" originally "I Got The Message"
"Poo Goes The World" originally "Pop Goes The World"
"Safely Dance" originally "Safety Dance"
"The Safety Dunce" originally "The Safety Dance"
"The Safety Lance" originally "The Safety Dance"
Obviously the kind used by surgeons? "The Safety Dance" "This Nasty Rash" Robert D. Arndt Jr.
"Safety Dance" "Underpants" Robert D. Arndt Jr.
"The Safety Dance" "Waffen SS" Robert D. Arndt Jr. 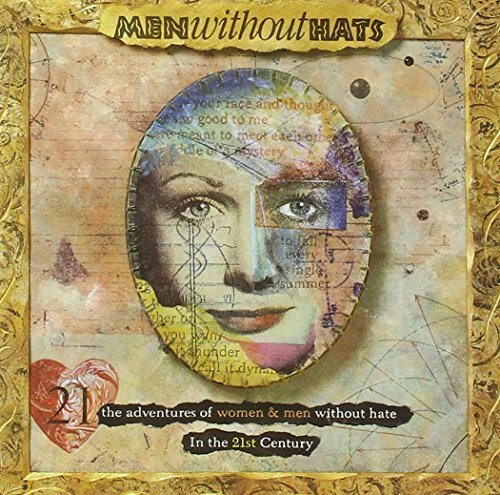 There are additional Men Without Hats Combined Groups that haven't been done yet available. Actually someone put the wrongly misheard lyrics here as the correct one WHICH IS DEFINITELY FALSE! And I have always told them that I knew it all along! First the title - "No Dancing". As in no "Safety Dancing" now? Then look at these verses. He's celebrating being crazy. Weird, ain't it? Basically the whole song is them insisting that they can do something (Dance, act, go, etc) if they want to, if you feel that strongly just DO it! Look, I don't know where the boys go so don't ask! Doesn't make any sense, given the name of this band. That being said, perhaps "...heads to our feet" would have been a better line? Um, ok... (Looks at hands) Wait...Why am I doing this again? I feel this line is considered inappropriate given the name of this band. 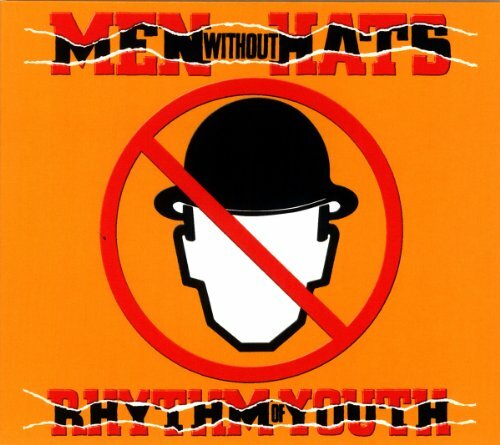 If they are "without hats", as their name states, then they shouldn't even have any in the song! Therefore, this line contradicts the name of the band. Did they not realize that when they wrote this line?? And everything was Lou Reed, and everything was loud. Lou Reed, the singer of "Walk On The Wild Side"
China, do you want to dance? You're wearing makeup And listening to Adam and The Ants. Adam and The Ants, an early 1980s band. They got the red book, they got the new look, the little people that are living in China. From their 1983 Rhythm Of Youth album. I got the message, and the message is clear. "Antarctica" is the lesser known (and far worse selling, not even making Billboard Magazine's HOT 100 charts) to the Canadian group, Men Without Hats' 1983 #3 smash hit, "The Safety Dance". "Antartica", used both in the title, and throughout the tune (with me transcribing the first verse) is the name of Earth's southern most continent and where the South Pole is located. The tune "Antarctica" was also a very huge dance hit in late 1983/early 1984. Hen Without Mats originally "Men Without Hats"
"The Safety Dance" was a huge global synth-dance hit, but the extended version was played more often on the radio. Soon afterward a touring Chippendales revue would do squat thrusts and other exercises with their pants off while a performer would karaoke or lip-sync to the song. They were "Men Without Pants". They would commence stripping down. Submitted by: He's Got No Pants On! "Being A Real Life Musical Family"
I'm not kidding. 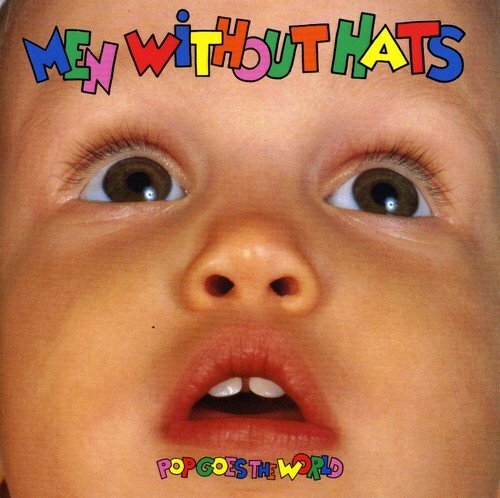 Men Without Hats are a real life musical family consisting of brothers Ivan, Stefan, and Colin Doroschuk and their cousins.